The official release date for the Sony PS3 was November 17, 2006. The PS3 came in two versions, a 20GB version for $499, and a 60GB version for $599. Both versions supported 1080p HDTV through HDMI. Click here for more details. An updated list of PS3 launch titles can be found here. The new wireless, motion-sensing controller has been officially dubbed "Sixaxis"
Click here for final images of the PS3 console and Sixaxis controller. At a press conference held in Los Angeles, California, Sony Computer Entertainment Inc. (SCEI) revealed the outline of its PlayStation 3 (PS3) computer entertainment system, incorporating the world’s most advanced Cell processor with supercomputer-like power. 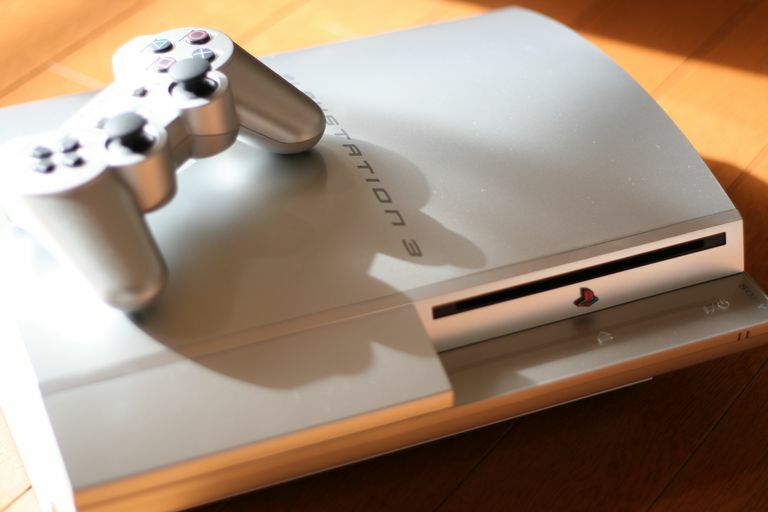 Prototypes of PS3 will also be showcased at the Electronic Entertainment Expo (E3), the world’s largest interactive entertainment exhibition held in Los Angeles, from May 18th to 20th. With an overwhelming computing power of 2 teraflops, entirely new graphical expressions that have never been seen before will become possible. In games, not only will movement of characters and objects be far more refined and realistic, but landscapes and virtual worlds can also be rendered in real-time, thereby elevating the freedom of graphics expression to levels not experienced in the past. Gamers will literally be able to dive into the realistic world seen in large screen movies and experience the excitement in real-time. In 1994, SCEI launched the original PlayStation (PS), followed by PlayStation 2 (PS2) in 2000 and PlayStation Portable (PSP) in 2004, every time introducing the latest advancement in technology and bringing innovation to interactive entertainment software creation. Over 13,000 titles have been developed by now, creating a software market that sells more than 250 million copies annually. PS3 offers backward compatibility enabling gamers to enjoy these enormous assets from PS and PS2 platforms. PlayStation family of products are sold in more than 120 countries and regions around the world. With cumulative shipments reaching more than 102 million for PS and approximately 89 million for PS2, they are the undisputed leaders and have become the standard platform for home entertainment. After 12 years from the introduction of the original PS and 6 years from the launch of PS2, SCEI brings PS3, the newest platform with the most advanced next-generation computer entertainment technology. With the delivery of Cell-based development tools that has already begun, development of game titles, as well as tools and middleware, are in progress. Through collaboration with world’s leading tools and middleware companies, SCEI will offer full support to new content creation by providing developers with extensive tools and libraries that will bring out the power of the Cell processor and enable efficient software development. As of March 15th, the official Japanese, North American, and European release date for the PS3 will be November 2006, not spring of 2006. “SCEI has continuously brought innovation to the world of computer entertainment, such as real-time 3D computer graphics on PlayStation and the world’s first 128-bit processor Emotion Engine (EE) for PlayStation 2. Empowered by the Cell processor with super computer like performance, a new age of PlayStation 3 is about to begin. Together with content creators from all over the world, SCEI will accelerate the arrival of a new era in computer entertainment.” Ken Kutaragi, President and CEO, Sony Computer Entertainment Inc. Recognized as the global leader and company responsible for the progression of consumer-based computer entertainment, Sony Computer Entertainment Inc. (SCEI) manufacturers, distributes and markets the PlayStation game console, the PlayStation 2 computer entertainment system and the PlayStation Portable (PSP) handheld entertainment system. PlayStation has revolutionized home entertainment by introducing advanced 3D graphic processing, and PlayStation 2 further enhances the PlayStation legacy as the core of home networked entertainment. PSP is a new portable entertainment system that allows users to enjoy 3D games, with high-quality full-motion video, and high-fidelity stereo audio. SCEI, along with its subsidiary divisions Sony Computer Entertainment America Inc., Sony Computer Entertainment Europe Ltd., and Sony Computer Entertainment Korea Inc. develops, publishes, markets and distributes software, and manages the third party licensing programs for these platforms in the respective markets worldwide. Headquartered in Tokyo, Japan, Sony Computer Entertainment Inc. is an independent business unit of the Sony Group. Storage media (HDD, “Memory Stick”, SD memory card, and CompactFlash) are sold separately. “Dolby” is a trademark of Dolby Laboratories. “DTS” is a trademark of Digital Theater Systems, Inc.
“CompactFlash” is a trademark of SanDisk Corporation. “HDMI” is a trademark of HDMI Licensing LLC. “Bluetooth” is a trademark of Bluetooth SIG, Inc.
“Memory Stick” and “Memory Stick PRO” are trademarks of Sony Corporation. “PlayStation", the PlayStation logo and “PSP” are registered trademarks of Sony Computer Entertainment Inc.